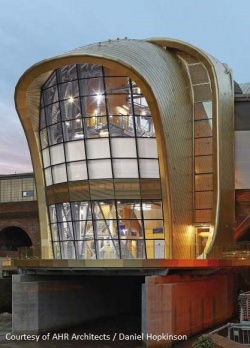 The Leeds Station Southern Entrance (LSSE) has created a landmark structure to relieve congestion to the existing northern entrance, future proof ticket gate line capacity and encourage growth in the south of the city by improving pedestrian access. 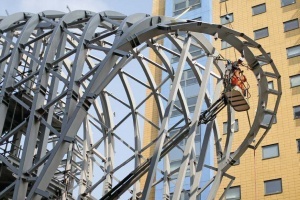 Steel construction provided the flexibility to span the new ticket concourse above the electrified railway via 25m trusses with the concourse floor plate slung beneath, and modularisation facilitated construction above the railway in 10-hour possessions without disruption to train services. Such offsite fabrication brought health and safety benefits in terms of minimising work above a river, adjacent to an operational railway and in a congested city centre. Main Contractor Carillion Rail Ltd.